morning on another FMP Monday with aura’s great pick, oatmeal pancakes! we had a lip – smacking sunday breakfast with these little healthy pancakes, fresh strawberry jam and dried peppermint tea. lately (5 years already :)) our weekend favorites are apple banana pancakes (will post the recipe soon) but these are for sure the runner-up. and i also like the idea of making them with oatmeal or another mush leftover (leftover strength). this time we made a fresh one and it’s totally worth it. cold weather treat: cammile’s selection and my interpretation – pear raspberry crumble. originally, the crumble is a dish of british and irish origins (since second world war), but it can also be traced, in the american cuisine, all the way back to the European colonization of the americas. in some parts of america very similar dish may be called a crisp. interesting for me was to find out that it can be made both in sweet and savory versions. although the sweet version is much more common. there are a lot of different types of crumble, depending of type of fruits used and also of variety of toppings (rolled oats, different kind of nuts, cookies or cereals). i like experimenting. one time with apples, strawberries and corn meal, another time (this recipe) is with pears, raspberries and oatmeal. 1 year anniversary recipe is polenta cakes with garlicky mushrooms, chosen by sandra, you can see it here and all other variations here. this week i was super creative and i made my own polenta layer cake with mushrooms, tomatoes and fresh basil filling. see the recipe below. polenta is a popular comfort food in italy with more than a thousand years of history. it’s originated from Friuli an area of northeastern italy and here polenta, not pasta, is the traditional main staple and today is getting more and more a gourmet makeovers all over the world. polenta is made from corn meal. the key of the popularity of this dish is that it’s amazingly versatile. it can be served with nearly anything and that is why it has spread to every corner of italy, always making use of what is locally grown or raised. it could be perfect for important occasions or every day meals. it could be as a first course, second course or a side dish, hot or cold, sweet or savory. apread out polenta into a square pan, using a wet spatula. allow to cool for a couple of h at the room temperature. this week’s recipe is chicken jook with lots of vegetables, chosen by Erin from the Goodness Life. ihe original recipe is here. You can also check out the other participant’s creative variations on this dish in Food Matters Project. anyway, i’ve never tried chinese risotto before, it was an interesting experience. this time i didn’t experiment too much, i wanted to try the original one. i just switched out chicken for the tempeh, added some sliced carrots and instead of short brown rice i used long grain brown rice (had them at home ☺). 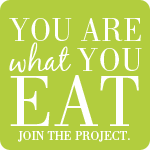 Have you heard of the food matters project? I didn’t until last week when i accidentally came across this lovely project and instantly decided to get involved. you can read more about it here. so i’m in … to gain and to share the knowledge and love about food, and most importantly to continue spreading the message about healthier eating choices. this week’s recipe is sesame noodles with spinach and salmon, chosen by Sarah of Pidge’s Pantry. See the recipe here. as i already mentioned before, i’ve been a vegetarian for quite a few years now, and more and more often I choose dishes based on vegan diet. so instead of salmon from this week’s recipe, i’ve used tofu, which makes this dish lighter and easier to digest. to make this dish a bit more colourful i’ve added a few things of my own; my favourite winter flavour- chopped ginger; sliced carrots and also red onion. add colours to your meal!